The myth that wind and solar are meaningful power sources was busted long ago. Quite apparently incapable of operating on their own, what purports to be the future of electricity generation turns out to be a pair of complete duds. As any good propagandist knows, selling a monstrous myth takes a solid dose of audacity and a superior command (some might say active abuse) of language. The latest wheeze is “firming”; being a reference to reliable, dispatchable and controllable electricity generation sources. [Note to Ed: do you mean like the system we’ve had in place for a century – ie coal, gas, stored hydro and, in those clever countries that have it, nuclear?]. When the term ‘firming’ first popped up in an online news post a few months back, STT wondered whether if we clicked on it we’d be redirected to one of those websites that peddles cut-price Viagra? The notion is that if a little firming capacity is added to the unreliables, all of a sudden, nature’s wonder fuels will soon whisk us to an all wind and sun powered future. Propagandists invented the term “inevitable transition” to capture that part of the fantasists’ childish imaginations. The argument goes that we should build a system that works (identical in principle to what we already have) to compensate for the chaotic intermittency of one that we don’t need (because we already have one that does the job and, until now, happily did it without a glitch). Never mind the cost. Never mind physics. Never mind engineering. And to hell with the economics. Pressed on the details, RE zealots start raving about pumped hydro and mythical mega-batteries, as if they’d simply been overlooked in mapping out their model of the future, because engineers had been out to a boozy lunch at the critical time and missed the obvious gap in their plan to rule the world. 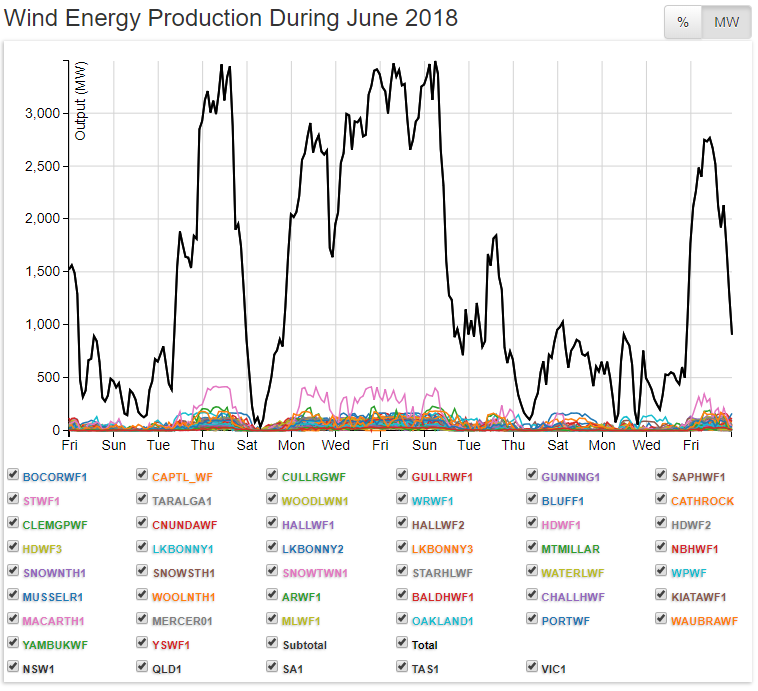 Now that Australia’s eastern grid is on the brink of collapse – thanks to the chaotic and occasional delivery of wind and solar – renewable energy rent seekers seem to think that – having gouged power consumers for $60 billion worth in subsidies – taxpayers will happily fork out untold $billions more on giant Teslas and hundreds of pumped hydro projects – neither of which add a single watt of generation capacity. They merely store electricity, redeliver at a later time and consume copious amounts of electricity during the process. 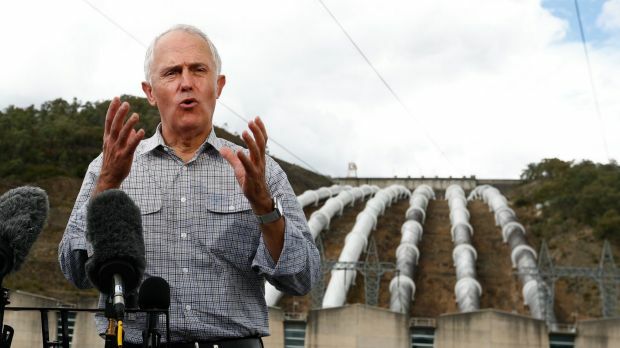 A couple of months back the Liberal/National Coalition government ditched its PM, Malcolm Turnbull over his obsession with renewables, and now the move is on to ditch his $10 billion Snowy 2.0 pumped hydro plan. Barnaby Joyce has reopened the Coalition’s energy wars on the new battlefield of the proposed $4.5 ­billion Snowy 2.0 pumped hydro project that he says should be shelved or scrapped in favour of new coal-fired power stations. The former deputy prime minister’s intervention, which is understood to be privately supported by Tony Abbott, comes just two months before the government will face a final decision on whether to proceed with the scheme. Snowy 2.0 had been the darling of Malcolm Turnbull, who liked the initiative so much that as prime minister his government bought the Victorian and NSW governments’ shares in Snowy Hydro for $6bn, making him effectively the shareholder in the scheme. Mr Joyce’s pro-coal statement could renew fierce division in the Coalition over energy policy, with a significant number of Nationals and right-leaning Liberal backbenchers said to still be keen on coal over renewables, upon which­­­ Snowy 2.0, which is an ­energy storage scheme, would rely. “I would prioritise coal-fired power stations,” Mr Joyce told The Australian on how he would prefer the money targeted for Snowy 2.0 to be spent. He said the cost of Snowy 2.0 kept blowing out, ­initially because the geology was far more difficult than first thought, then when it was established that $2bn would be required to upgrade transmission systems, creating a total cost of $6.5bn. “When you take the initial estimate of all these costs, one thing which is certain is that it is miles away from what the final contracted figure will be,” Mr Joyce said. For that money it would be possible to build at least one new coal-fired electricity plant, he said, and possibly a more modest pumped hydro plant elsewhere using existing tunnels, transmission lines, and generation plant where far less new infrastructure would be required. Snowy Hydro, which is due to consider a revised feasibility study, is keen for an early government decision. “Snowy Hydro is on track for our board to make a final investment decision on Snowy 2.0 in ­December,” Snowy Hydro chief executive Paul Broad told The Australian. “The board’s decision will then be put to the federal government as our shareholder. “We hope to commence the ­exploratory works for the project as soon as possible, subject to ­environmental approval,” Mr Broad said. When completed in late 2024, Snowy 2.0 will pump huge ­quantities of water from one ­existing Snowy Hydro reservoir up through reversible turbines in a new underground power station to another existing reservoir 700m higher, via 27km of new ­tunnels. It would pump water uphill at off-peak times when electricity, particularly from wind and solar, was plentiful and cheap, and that water would serve as stored energy to generate electricity ­during times of peak demand and less supply by letting water flow back down through the same ­turbines. Mr Joyce said pumped hydro schemes required about a quarter more electricity to pump water uphill than was generated when the same amount of water flowed downhill. “It is a net energy user — it doesn’t create energy,” Mr Joyce said. Energy Minister Angus Taylor, who with Finance Minister Mathias Cormann is the “shareholder minister” for Snowy Hydro, said Snowy 2.0 offered “a unique mix of firming and storage opportunities for the national electricity market”. “The commonwealth has ­always stated that the business case needs to stack up on its own merits,” Mr Taylor told The ­Australian. 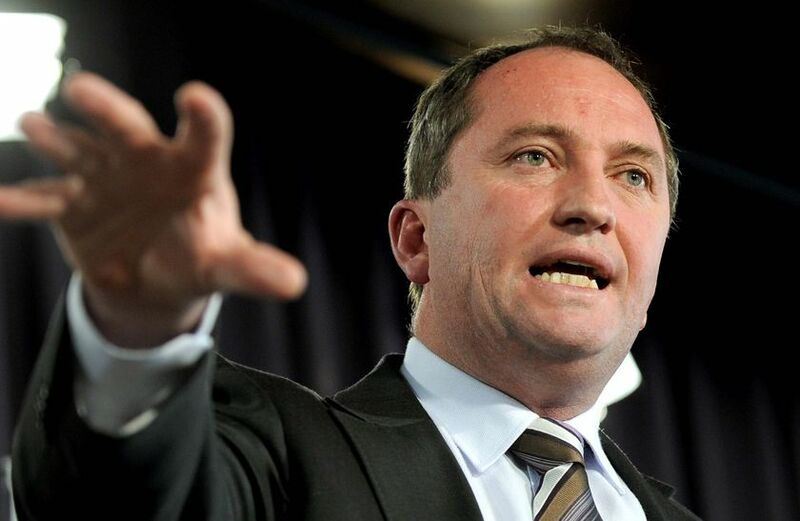 Barnaby Joyce: realist points out obvious defect in Snowy pipe dream. Paul Broad’s claims about Snowy 2.0 being on track sound like the wishful thinking of a man with a very large amount of skin in the game. As former Labor Premier of NSW, Jack Lang pithily put it: ‘Always back the horse named self-interest, son. It’ll be the only one trying’. Snowy 2.0 was first conceived in the 1970s: it was uneconomic then, it’s still uneconomic now. Never mind squandering 1/3 of the electricity originally generated; never mind that with the inclusion of the $85 per MWh REC the cost of the wind power involved exceeds $110 per MWh; never mind that the owners of Snowy 2.0 will charge a further $150-300 per MWh to re-deliver power to the grid; never mind that, in reality, the power used to pump the water uphill will largely come from coal-fired power plants, delivered overnight when it’s cheapest. Here’s some numbers put together by Barry James that show why coal-fired power wins the power cost war, hands down. The current wholesale costs are:- 6.5c per KWh for wind, that being the lowest AEMO auction price recorded in recent times and 7.5c per KWh for a new HELE station (allowing for depreciation). These costs are based on latest ANU Energy Change Institute information. The current basic wholesale cost of existing unfettered coal power in Australia is about 4c per KWh, because their capital cost has been written off. Intermittency and maintenance costs increase that to about 7.3c per KWh. Bear in mind also that the 6.5c per KWh for wind ignores the 8c worth of subsidies that the consumers end up paying through the retailers, so the real “wholesale” cost of wind is 14.5c per KWh. That makes coal cheaper by about 50% without considering anything else. One of the factors that never gets mentioned is that base load coal power needs to operate to a predictable schedule in order to be efficient. What we have is a system that deliberately forces coal power to go on standby whenever the “renewables” are working. For example, a new HELE coal powered station running at normal capacity could be producing at a cost of 7.5c per KWh. If they have to suddenly halve their output because the wind starts blowing hard enough, the cost of providing that reduced output will be increased to around 12c per KWh. So, the production cost, and therefore the wholesale price of that power has to accommodate that fact. The offensive thing is that the “renewables” purveyors then point at coal saying it is not cheaper than wind at 6.5c per KWh. In actual fact, that extra 4.5c per KWh (let’s call that the cost of intermittency) should rightfully be added to the cost of the wind power, making the real comparison 11c per KWh against 7.5c per KWh for a new base load HELE power station. When the 8c per KWh in subsidies is added, there is no contest. Wind’s real cost is 19c per KWh v 7.5c per KWh for a new HELE coal station running at peak efficiency. Wind power is damned expensive and the cause of all our troubles. Add to that the incalculable cost of grid disruption caused by unreliable, intermittent renewables. Failed prophet peddling scheme that just doesn’t hold water. The cost of Renewable Energy Resources hinges on the true value of the required firming technologies, generation back up which must quickly be tied to the grid, when, for example, the wind dies off. It often involves the use of fire, carbon combustion, and the fuel delivery systems required to have the fuel instantly available. As renewables become a sizable fraction of electric supply, firming becomes essentially a stand-by carbon fuel grid. It is hideously expensive. If the standard government thumb, tax breaks, subsidizes, accelerated depreciation, mandated purchases etc. is removed from the scales of commerce, the true cost of electricity skyrockets with renewables supply. In the US, this is paid for via the light bill, or because of our exploding national debt, it is dumped on our grand kids. Those who abandoned cheap coal will suffer enormously relative to those who do not. I hope the climate change conflict is resolved without war. Barry James is on the money in his debunking of the “wind is cheaper than coal” mantra we have rammed down our necks by the wind rent seekers and their camp following, cheer-squad, the likes of the ABC, Fairfax, Guardian, RuinEconomy etc. He could have also mentioned the fact that there is a very large firming/balancing generation cost distortion associated with intermittent wind generation, a cost that does not come out even when we consider a RET subsidy inclusive “wholesale” cost of wind. Perhaps Ean Higgins could have mentioned in his article is that while the estimate of $2bn for transmission upgrades may be near the mark, it underplays the degree of difficulty in aggregating the intermittent generation output of many far-flung, wind farms. A colleague once suggested, only half in jest, that this task is akin to a farmer dispensing with his three trusty draught horses and opting instead plough his paddock by harnessing together two thousand squabbling cats? The RE zealots won’t change their minds until they are suddenly without the ability to charge their precious iphones or play their xbox games because the unreliables aren’t producing power. Anybody who votes for either of Liberal/Labor or Greens are fools. Change has to occur. We have to get out of the mindset of voting either Liberal or Labor. Both of these parties are guilty of forcing this mess upon the nation. The unfortunate truth is that the public is apathetic at best. They might hate politicians but can’t be bothered to look at alternative parties to vote for. We are doomed. Looking at the unfolding mess over the last 25 years started by Keating and followed now by the Renewable Energy Zealots means that in the end Australia will have no Electricity at all. The thing that amazes me is that the whole Electricity system is still operating. When I was in a control room the expected age of retirement was in the 50’s. Now with the extra stress put on the controllers I expect the retirement age has dropped into the 40’s..